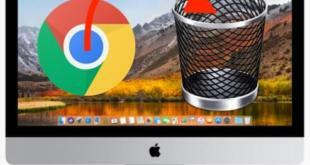 Mac users who want to mask their IP address and browse online without being traced can utilize a virtual private network (VPN). There are several providers out there who offer premier VPN services. However, some providers offer features and tools that are perfect for Mac operating systems. 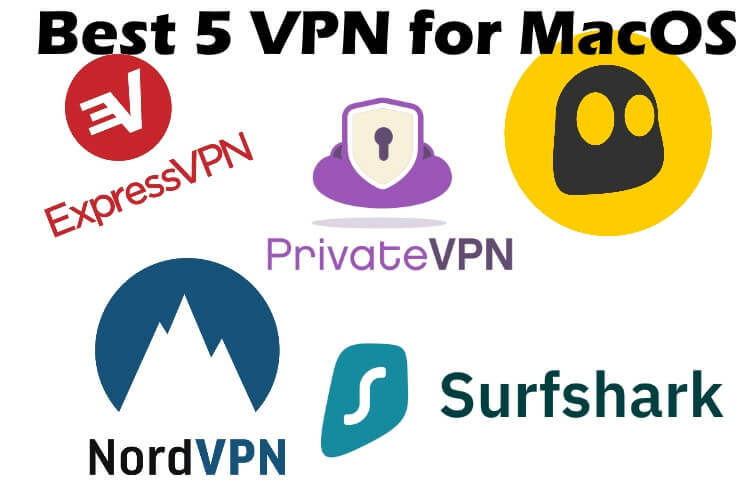 Here is the pro difference between all most popular VPN services for your Mac and iOS device. That included number of Free Devices, Encryption Techniques, Global Service and Servers, Setup Guide, Money Back Guarantee, File download options, Traffic and Bandwidth. Surfshark has one of the cleanest platforms anywhere in the VPN industry. It provides over 800 servers in 50 countries. It offers a premier user experience with a smooth interface. One of the things that users will love most is that Surfshark’s privacy features automatically run by default when a Mac user turns on a computer or smartphone. It blocks ads, malware, and trackers. Mac users will also enjoy the MultiHop tool that provides ultimate privacy when users are online. Surfshark for MacOS is rare in that it allows unlimited iOS device from a single account. It uses OpenVPN and IKEv2 protocols with AES 256-bit encryption. It is perfect for iPhone mobile apps because it doesn’t drain battery power a quickly as other VPNs. Since Surfshark allows P2P sharing, it is ideal for users who want to torrent anonymously. Test results also reveal just how fast Surfshark is across several servers in different countries. There is very little noticeable difference between using the VPN and turning it off. ExpressVPN offers high-end, consistent protection for its subscribers, making it a top-draw for VPN services. It fares well in speed tests across multiple servers around the world. Both a critic and customer favorite, Express VPN provides extremely fast access to websites, servers, and streaming services. Users can log in to Netflix, Amazon, or BBC iPlayer and enjoy hundreds of TV shows and movies. Subscribers can get fully customizable apps on all Mac devices such as iPhones, iPads, and computers, as well as Amazon Fire TV. The app is easy to set up and even easier to use. One of the best things about Express VPN is its impenetrable encryption and privacy. Users can depend on the kill switch when their privacy is threatened. ExpressVPN also doesn’t keep logs or collect user data. It operates really well in high-censorship countries and regions such as China. ExpressVPN uses OpenVPN standards that make it perfect for Mac users. It provides a high level of security that Mac users have come to expect from a VPN service. Cyberghost VPN service offers remarkable speed and an extensive list of privacy features. CyperghostVPN’s zero-logs policy makes it among the most trustworthy of all virtual private networks on the market. Like all other reputable providers, Cyberghost grants access to otherwise blocked sites such as Netflix Amazon. Cyberghost also works in conjunction with the Amazon Fire TV Stick. For those who are concerned about speed, Cyberghost rivals any other service. It provides super-fast connects, peaking at 262Mpbs in some areas. It offers impressive download and upload speeds for large files. It is also a preferred VPN for P2P users and those looking for access to torrents. Cyberghost provides service on over 3500 servers on all inhabitable continents. It also has an impressive number of IP addresses. NordVPN offers numerous features on a secure platform that gives users absolute privacy. NordVPN combines useful functions, top security standards, and a strict policy of not recording logs. It is easy to use, well-designed and offers unmatched protection for subscribers. One of the features that users will appreciate the most is SmartPlay, an interactive component that unblocks over 150 streaming services such as Amazon Prime and Netflix. It does this by getting around geo-restrictions that may hinder other VPNs. Nord also recently added Wi-Fi Sec that allows a user to find a connection regardless of where they are located automatically. Wi-Fi Sec can connect the Mac OS device on secured and unsecured networks. It also provides the highest security while connected. Nord VPN is committed to developing security and privacy solutions that help millions of users around the world. They are consistently ranked at the top of critics’ lists for providing a premier product and backing it up with superior customer service. PrivateVPN is a Sweden-based VPN provider that offers a generous VPN package. Users can access the service from up to six devices at the same time. This makes it convenient since the service is available in over 56 countries. PrivateVPN claims that it keeps no logs and provides premier privacy. Subscribers can enjoy the uninterrupted online activity that is untraceable from hackers, ISPs, and government agencies. PrivateVPN offers fast connections speeds, so it is perfect for uploading and downloading files, as well as streaming. Users can unblock Netflix and BBC iPlayer as well as other popular streaming services. Users who access torrents can do so easily thanks to Private VPN’s strong encryption. Subscribers can benefit from free dedicated IP addresses with every connection. Private VPN uses OpenVPN TUN+UDP+1194. The Mac client is similar to other versions. It uses a secure Open VPN protocol combined with AES/GCM for data cipher. Mac users are in good hands with these reliable VPNs. Providers offer a wide range of products and features for all iOS and Mac devices across all platforms. Users should never assume that their Mac is protected just because it is a Mac. A VPN provides a comprehensive protection package that keeps users’ activity and identity private. Previous What does iPhone XR come with in the Box? Next Which App is best to use as Volume Booster Apps for iPhone XR, iPhone XS and iPhone XS Max?